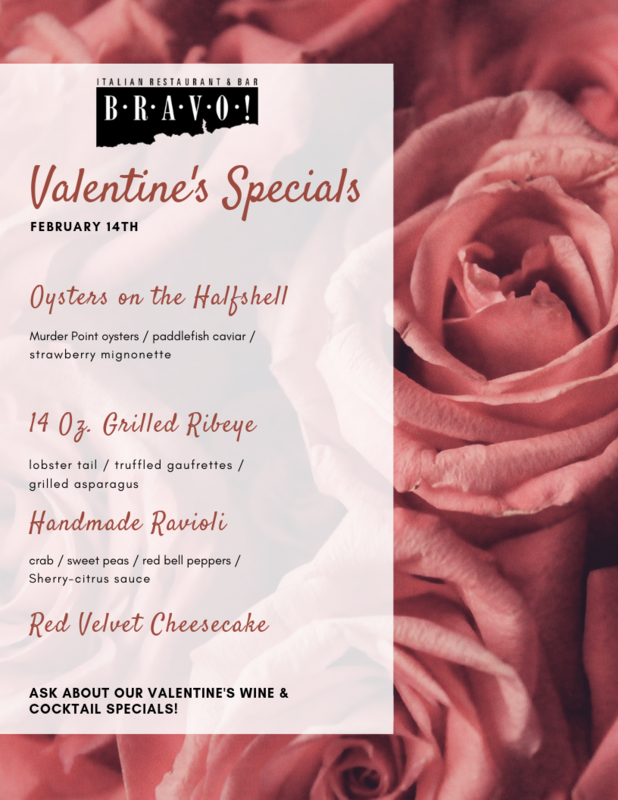 Valentine's Day Specials | BRAVO! Make this Valentine’s something to remember with BRAVO! Show your special someone how much you care with a meal fit for royalty. We’ve crafted these courses for February 14th with a romantic evening in mind, but our full menu will be available as well if you are craving an old favorite or something to spice up the night. Make your plans now. 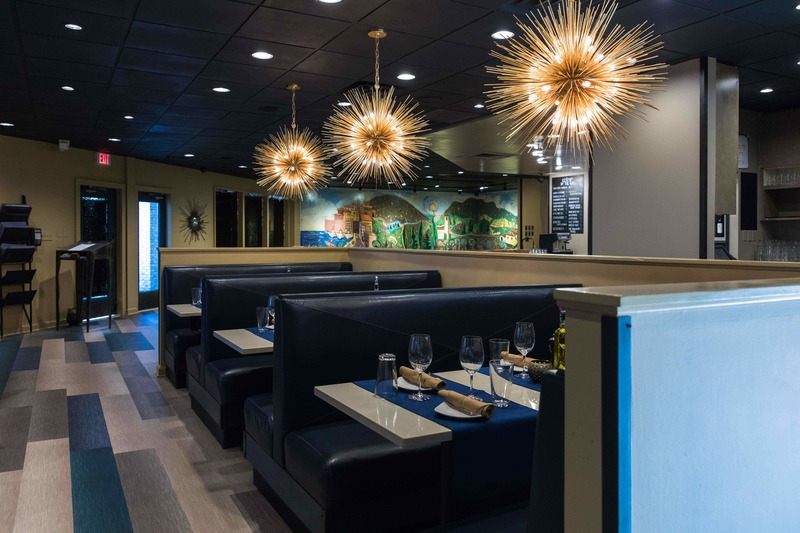 As always, reservations are not needed at BRAVO!